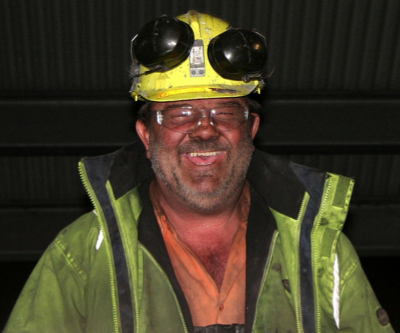 Miners across the globe are not only one of the most productive employees, but also rank among the happiest, reveals a study published Thursday by London-based iOpener Institute for People and Performance. 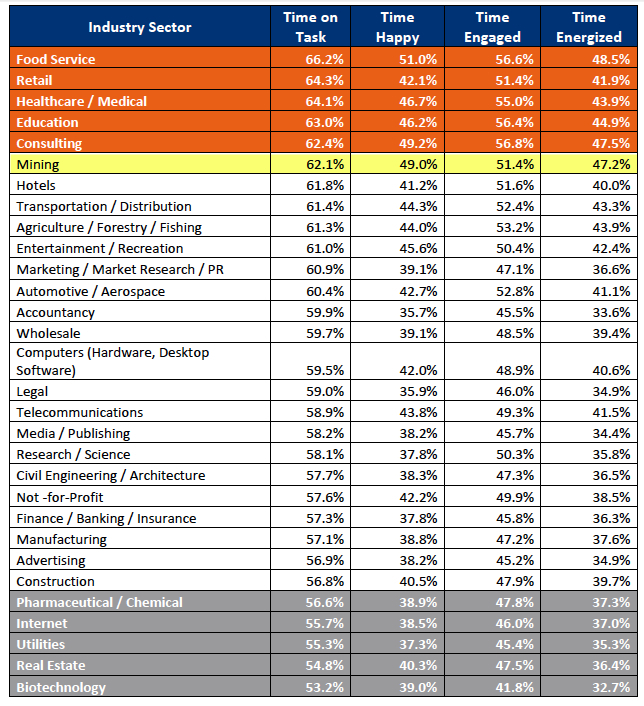 The cross-industry study, which analyzed responses from over 30,000 professionals, reveals significant differences between personal productivity levels depending on the country and industry sector, with mining scoring a higher than average “time on task” —total hours workers are actively producing outputs that make a tangible contribution to their organization—of 62.1%. In terms of countries, Mexico shows to have the highest productivity (73.2% of time on task) and Portugal the lowest (43.3%). Jessica Pryce-Jones, founder director of the iOpener Institute and author of “Happiness at Work – Maximizing Your Psychological Capital for Success,” says the findings offer organizations a contextual starting point.